The hotel is an ideal place for retreats and seminars. Its facilities can cater for groups of about fifteen people. 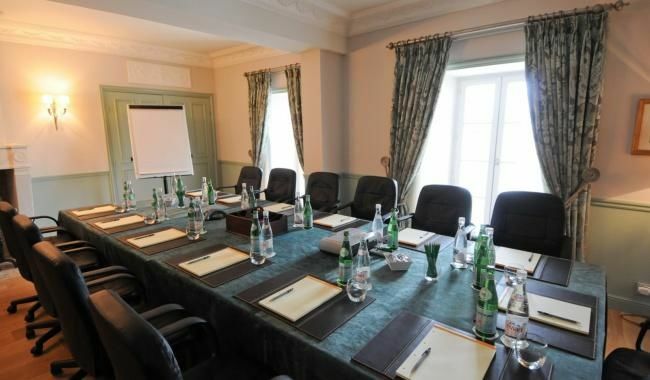 The pleasant meeting room, located upstairs in the Maison des Artistes, combines charm and modernity. Its woody atmosphere and the peace and quiet of the interior garden are in no way disturbed by the discrete technology made available to users (telephone lines, projection screens, television, DVD player, paperboard, etc.) As far as coffee breaks are concerned, the hotel can organize coffee, tea, cocktails and light snacks, at your request. For seminars requiring greater reception capacity, alternative solutions can be offered nearby. For further information, don’t hesitate to contact us.